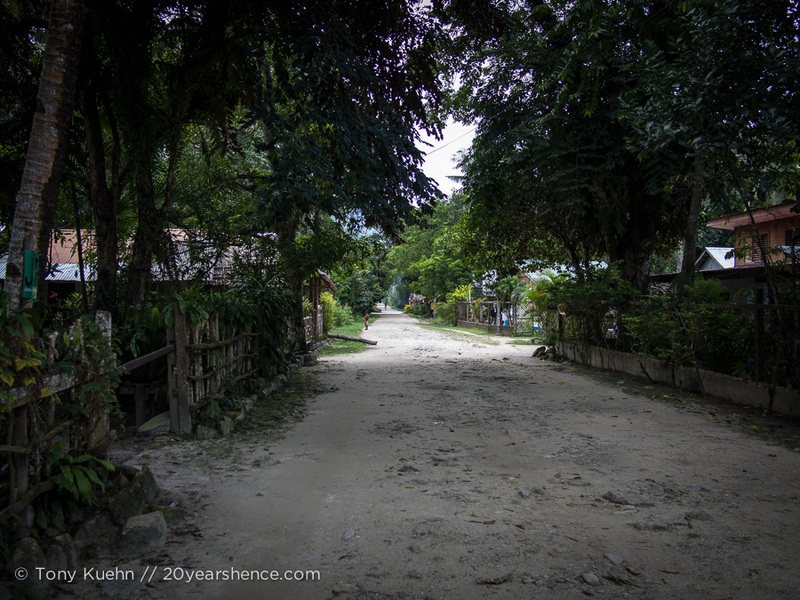 The town of Port Barton (more of a village, really), is quietly nestled on the coast of Palawan and might be best described in terms of what it doesn’t have rather than what it does. It doesn’t have any banks or ATMs, it doesn’t have any medical facilities, it doesn’t have any electricity outside the hours of 5:30 pm to midnight, meaning it doesn’t really have internet, nor does it have much of a clubbing or nightlife scene. Perhaps not unsurprisingly then, it also doesn’t have many visitors. This wasn’t always the case, mind you. 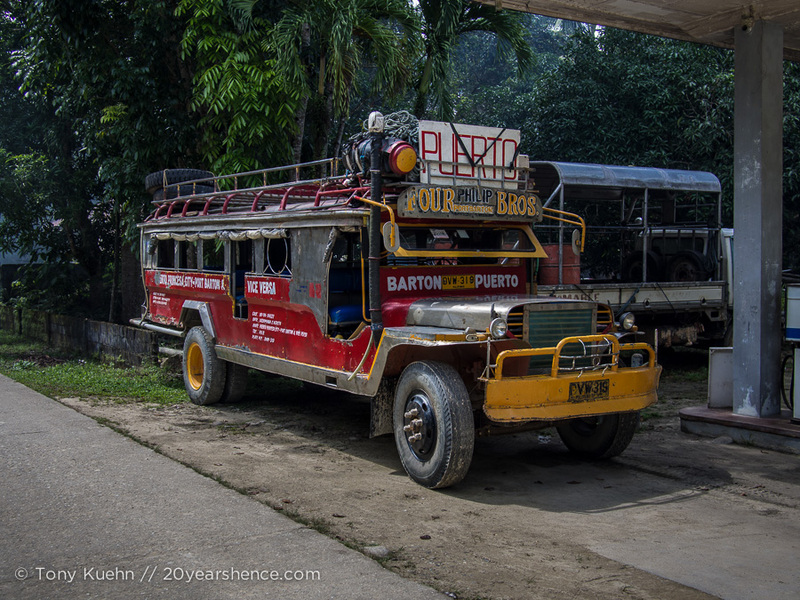 No, just a handful of years ago, Port Barton was pretty much a mandatory pitstop on the multi-legged journey from Puerto Princesa up to El Nido. While it’s doubtful it was ever bustling, it certainly saw more traffic than it does today; with El Nido’s growing popularity came a paved road between it and Palwan’s capital city and now the trip can be done in about 6 hours and passes nowhere near Port Barton at all. For in truth, Port Barton itself is not really near anything, being at least 5 hours of driving on rough roads from Puerto Princesa, and while there is no direct transport option to El Nido by land, you can take a 12-hour boat ride if time is on your side. Given all the things Port Barton doesn’t have, you might find yourself wondering why exactly you would make the effort to come and visit. El Nido isn’t exactly a frenetic, fast-passed locale, but if the prospect of sharing your island paradise with large groups of other tourists is a huge turn-off for you, Port Barton may be more your speed. It offers many of the similar attractions of El Nido, but on a smaller scale: where El Nido has more guesthouses, restaurants and dive shops than you could ever hope to tire of during a vacation, Port Barton only has about 15 hotels, all lined up along its white sand stretch of beach, you have less than a dozen restaurants to choose from, and if you want to go diving, you’re picking between two operators. Island hopping is organized by strolling along the beach past the handful of bangka boats: inevitably a boat captain will approach you and try to negotiate an outing. After 2 months in the Philippines, we were well-versed with sleepy towns, but there is somnolent and then there is Port Barton. Truly, if you are looking to unwind in a place that seems poised to be reclaimed by the barely tamed jungle from which it was originally carved, Port Barton may just be the place for you. Variety might be the spice of life, but it’s almost as though Port Barton understands that sometimes as a traveler, the worst thing life can offer you is too many choices, inundating you with options and possibilities until your prefrontal cortex overloads and you just desperately want to let someone else drive while you take a time-out and passively gaze from the passenger seat out at your life. Not for eternity, but just for now. Port Barton may not have much on offer, but at least on this front, it delivers. Port Barton is the kind of place where, away from all possible distractions, it’s easy to believe that all that exists, all that matters, is this very moment. Port Barton is a place that lends itself to not doing much of anything at all, certainly not work of any kind, so for three days we succumbed to its thrall and gave ourselves completely over to Port Barton’s lazy allure. We spent long days loafing about in hammocks, glutting ourselves on books, both good and bad, while also doing admirable impressions of people suffering from narcolepsy, so frequently did we drift off to sleep at random intervals throughout the day. Brief spurts of energy led to our only sources of exercise which took the form of casual cavorting in the ocean and meandering jaunts down the sole street that runs the village straight through, as though it’s been impaled, generally in search of meals and snacks. Three days was long enough for us to get into the habit of oscillating between two places, one that offers a decadent Red Velvet cake, the other a pumpkin & shrimp curry that is so cheap and so good that I ordered it every single time without any guilt. Maybe this slothful, sleeping city sounds like paradise to you. I certainly won’t argue that it’s not, but there is a dark side to this idyllic hideaway that may not be initially obvious. Although you can venture to Port Barton and feel as though you’re in a quiet, chill city that has somehow managed to avoid tourism’s spotlight, with a little more time spent, you realize the relaxed vibe is perhaps less purposeful than one might hope. Port Barton is a lovely place, but it is also a hotspot in decline, a destination that is dying. As I toured the limited infrastructure of the town, I realized that many of the hotels, restaurants and local businesses were closed, perhaps because it was no longer high season, but some of them had an air that made me wonder whether high season would ever occur once more in Port Barton. These are vestiges from a time when tourism flourished and businesses were built to meet with a demand that clearly no longer exists. There is a certain brand of traveler that likes to scorn destinations for being overly touristy, but I can’t help but wonder whether there is anything sadder than visiting a place that was once popular and now sits in the shadow of its former glory, its halcyon days squarely behind it. In a country like the Philippines where poverty runs rampant and is an inescapable fact of every day life, visiting a place like Port Barton is not without its somber moments, despite the overall placid veneer. Seeing so many businesses shuttered and closed was sobering, and every time we ventured out onto the beach we were approached by one persistent young man offering island hopping tours. Alas, having come from El Nido where the scenery is better, we had no real desire to do another tour. Moreover, with no ATMs and our cash running low, we couldn’t really justify paying nearly double the price of the tours offered up in El Nido—demand is lower in Port Barton, so prices are higher as a result. For three days we would look up from our hammocks and see the man, hardly more than a boy, sitting out on the beach in front of our hotel, ever vigilant of our whereabouts as he simply could not afford to miss us should we decide to take a tour. One day he sat there for 8 hours straight. When Tony went out to tell him that as much as we would love to go on a tour with him, we simply couldn’t afford it, he smiled ruefully and said we were the only visitors so he would wait, just in case we changed our mind. So there is a tranquility to Port Barton, yes, but there is also a sadness. Our time there made me think deeply about what our responsibilities are as travelers and whether it is possible to see the world without changing it. So many of us venture out on our trips hoping to come back changed, but how often do we stop to think of the symbiosis of travel, the fact that just as the places we visit can transform us, our being there changes those places as well? Back in Pingyao, we saw firsthand what happens when a place is transformed by tourism to the point where it is grotesque mockery of the thing that was initially worth visiting. In Port Barton, we saw another side to tourism left unchecked, witnessing the devastation that remains after the storm has rolled through and consumed nearly everything in its path. There is no doubt in my mind that traveling in the Philippines and spending your money at local businesses is one of the best things a traveler can do—this is a country filled with kind, lovely hard-working people who would very much benefit from our money. 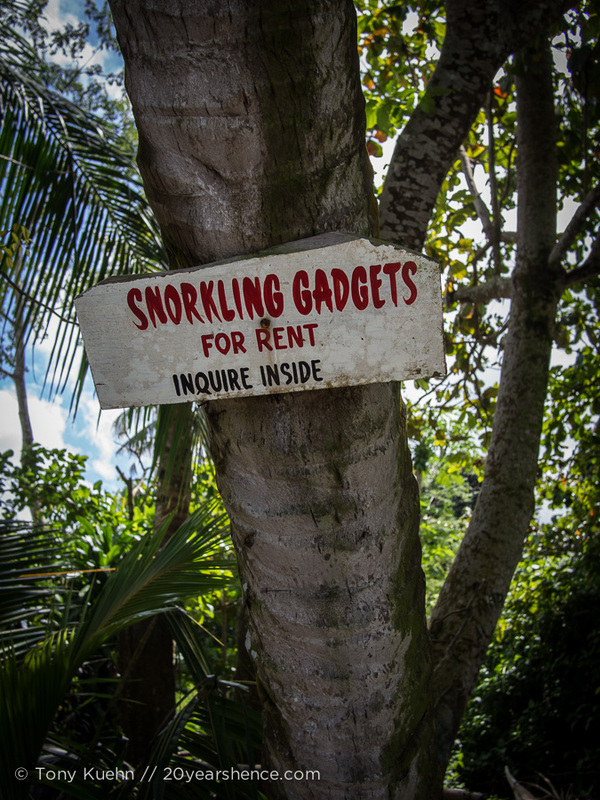 And yet places that enslave themselves to the tourist dollar play a risky, and potentially short-sighted, game. When the money is flooding in, it’s easy to push self-reliance aside and enjoy the party, as fishermen give up their craft and focus instead on ferrying tourist around to beautiful islands, while general stores and cantinas close to make way for souvenir shops and yet another Italian resto-pub. But what happens when the winds change and tourists move on? Come to Port Barton and you will see the answer for yourself. It is the very reason why I try to keep certain places off the map—not because the locals wouldn’t benefit from your money, but because I don’t want to damage the delicate balance they have achieved, in which tourism makes up but a fraction of their livelihood. Perhaps if Port Barton had done the same, it would not be struggling as it does now. Life slows to a crawl in Port Barton, and it’s almost as though the village is in hibernation, a Brigadoon made real, harnessing its reserves so it can burst back to life should the stars align. Time passes so slowly here that you sometimes wonder if it hasn’t just stopped but has actually started to go backwards. Perhaps in time El Nido’s growing popularity will prove to be its own downfall, sending intrepid travelers in search of something less touristy, something exactly like Port Barton. But at least for now, the town continues to slumber and wait. Chewing the Fat with Expat Edna! You make some interesting points about tourism. I find that I feel sad even for those old restaurants that obviously never changed with the times and what used to be THE hot spot is now just a shadow of its former self, barely hanging on by a string. Or ending up on Kitchen Nightmares. Sometimes I feel sad for the people featured on Kitchen Nightmares, but sometimes they are just so foolish and oblivious, I feel like they need more tough love than even Gordon Ramsay can deliver! But it is really hard to see good people doing their best to make a living only to find that demand is not in their favor. I wish we would have known about Port Barton when we went to Palawan. 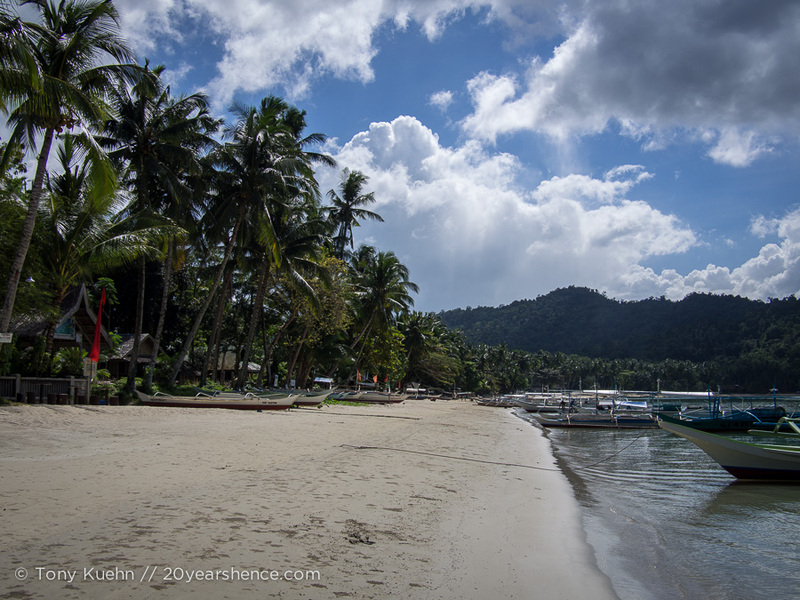 As much as we loved El Nido, it would be interesting to see its less-touristy counterpart. Although tourism to El Nido seems to have exploded even since our time there a year and a half ago! I think you bring up a very interesting point about tourism, and the difficult balance between supporting local businesses and helping the community economically, versus exploiting an area. I think most of the time travelers only think of ‘changing’ an area when they are setting off on some sort of ‘purposeful’ change, like volunteering. I’m sure seeing the impact in Port Barton is very powerful! Yes, I think you’re absolutely right that most people only consider that impact they have when traveling when they purposefully set out to leave some trace, generally for the better. But when you visit places that have been burned by the bright flame of tourism, it definitely makes you think about the ways in which you can travel responsibly without inadvertently doing damage to the people in the community. For example, I know that a lot of people are on fire to see some of the hilltribe people up in Northern Thailand, but based on my reading, this can actually be a really harmful practice because those people wind up trapped in a life they don’t actually want, simply because it is profitable for the government and other bodies for them to remain there, supposedly untouched. That’s certainly different to what has happened in Port Barton, obviously, but the two are closer on a continuum than one might original think! Steph, what a well written documentary of the ebb and flow of life in paradise. Sometimes, all it takes is a new paved road to completely change the fortunes of two villages. I understand your conundrum of trying to do the right thing. Do I stay longer and spend more money just to help out this dieing community? Or, do I go and just purge my mind of any guilt feelings. It seams that as travelers, everywhere we go, there’s always something to wonder about that you’d never even imagine exists while back on the block. My personal take on this is that I try to strike a balance between being an observer and a fixer. I always remind myself that it’s not my job/responsibility to save a community or pay a person’s wages, but I hope that this post makes others thing deeply about how and where they spend their money. We try really hard to make sure our money goes into the local community when we travel, whether that means staying at local guesthouses and eating at local restaurants, or finding some other way to make sure our dollars make it to the people who need it most. That said, there is only so much that I, or any other one person, can do, and I know that in the case of Port Barton, any money I spend is really just a stopgap and a bandaid solution to a much larger problem. Still, it’s hard to be in a position where you feel obligated to spend money and feel selfish for not doing so! It’s a bit of a different scale, but this reminds me a little of when we went to Vang Vieng right after many of the river bars had been shut down. It was so peaceful and we could enjoy all the natural scenery without the distraction of backpackers drunkenly tubing down the river, but the sudden exodus of the tourists had clearly left the town in a pretty bad place. The financial loss when a large influx of tourists disappears seems almost as destructive as the heavy tourism itself. I haven’t been to VV, but I think that’s probably an apt parallel. I mean, I think that’s probably an even more extreme case of how tourism can pervert a place, but it’s true that for visitors right after the bars had closed, there must have been this strange ambivalence in the air: the tubing scene is so contrary and offensive to Laos culture, but it was a huge source of revenue. I think you’re exactly right that at some point as much destruction as tourism can produce, when it becomes a huge financial boon to a community, ripping it away does just as much harm as good. To be honest, I love places like that with no Internet, hidden somewhere in the middle of nowhere. Port Barton sounds like a great place to hide where you can interact with locals and get some rest, just chilling out on the beach. Thanks for sharing that. I will add it to my bucket list for sure! Don’t get me wrong, I love places that are completely stripped down too (and believe me, there are TONS of places like this in the Philippines)! Sometimes you need a place to just escape from the world and the tourists… it’s just a bit unsettling when you’re at a place where that wasn’t always the case and they clearly are relying on there being more tourists than just you. I hope you make it there one day, though—it’s really a lovely place! Sometimes it breaks my heart to see locals like the tour guide work so hard for so little money. Tuk tuk drivers in Cambodia are similar. When you go to a restaurant they wait for hours outside just in case you decide to take one. When you see the look on their face after you told them that you don’t need a tuk tuk, it lways breaks my heart. TammyOnTheMove recently posted..Can an Englishman fall in love with Germany? I can’t say I feel too bad for the tuktuk drivers in Cambodia, at least not the ones in Phnom Penh as they are so aggressive! We literally had one follow us down the street insulting & yelling at us because we wouldn’t give him our business (when he was also overcharging us!). That said, I see your point, and agree that it is hard when people are desperate for your money but they are offering a service or product that you just don’t need or want. The little boy waiting for you to do a tour with him broke my heart a bit. I have this picture in my head of you have guys sitting in your hammocks and having deep philosophical discussions about the way travel influences the world. Please tell me you do. Sound just the kind of place to unwind after some busy travel days… It’s always sad to see what happens to a place after a tourism boom, but then again, it’ll give it a second chance to rebuild when tourists do come back. This time maybe with more forethought to local economies and impact to the environment. I have been thinking about this very subject while here in Pokhara, Nepal. In 1951, five years after Nepal’s borders opened to tourists, Pokhara had a population of 13,000. Today it has a population of over 300,000. Tourism is by far the largest source of money coming into Pokhara (and Nepal for that matter), and if tourism left, many of the other industries would suffer as well. We met a guesthouse owner who, in the early 2000s had to live in the US for 7 years because the civil war reduced tourism so much. Now, with many people claiming online that the Annapurna Circuit has been ruined by the road put in, what will happen? I don’t think it will be like Port Barton anytime soon, but who knows? So interesting to hear your reflections on this, Brian. I remember watching a documentary in which part of it looked at the effect of the conflict in Nepal on tourism and the livelihood of the locals and my heart broke as they essentially pleaded that visitors come because their money was so badly needed. It sounds like they have rebounded quite well and I would assume the Annapurna circuit has enough cachet and longevity that it should survive the new developments, but you just never know. It’s such a difficult balance that needs to be struck when it comes to tourism because it can be so fickle. Hi Steph, I didn’t realize that Port Barton was in that state of decline. It truly is sad. I hope its residents can pick up the pieces and go back to their root of self-reliance. What an insightful post. I think that if anyone has proven that they can rebound from tough times, it is Filipinos. I am sure that Port Barton will get back up on its feet eventually; perhaps it’s just one of those places that has a really dramatic high vs. low season. We were there during an off period, so maybe during the summer the place is jumping… I hope that’s the case! I’ll be going to Port Barton for 3 days before heading up to El Nido in July 2014. This was a good read, but this article does pain a somewhat depressing picture of the state that Port Barton is in. I remain hopeful that we will enjoy our stay in Port Barton nonetheless. I also hope that I’ll be able to catch a boat ride from Port Barton up to El Nido these days. I really don’t want to make the trip by land and miss out on the spectacular views along the shoreline between Port Barton and El Nido. If you happen to be visiting Palawan during the island’s high season, then I wouldn’t be surprised to hear that PB is a bit livelier than how we found it which was squarely in shoulder season. It’s never going to be a crazy party scene, but I doubt that’s what you’re looking for anyway. The beach is nice and the people are lovely (as is true everywhere in the country), so I don’t think you’ll be disappointed with your stay. Do report back and let us know how you found it! I am planning to go to PB as a volunteer for Workaway, and after reading your very insightful article I’m not sure if it’s wise to spend a month there (as much as I had initially thought of doing). I know my little effort of somehow helping the community there it won’t make a real impact or anything like that, but am I getting myself trapped into a place not far from being described as a “ghost town”? Whether Port Barton is really a ghost town or not probably depends on the time of year you visit (high or low season) and on the WorkAway experience itself, I would imagine. Filipinos are very kind and welcoming, so it is entirely possible you would be able to make local friends and have a different experience to our own, but if I were you, I would definitely plan on your time in PB being more quiet than not. One downside is that it is also quite far from any other major cities that people are likely to go, so if you do go and it’s not quite as lively as you would like, there won’t be many escape options. Whether this sounds like heaven or hell to you, only you can decide… whatever you choose: good luck!